Diversity throughout the full spectrum of outdoor experiences is what Wyoming offers in spades. 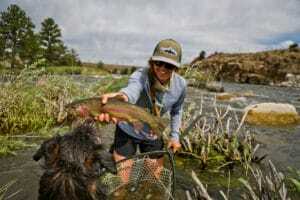 Whether it’s casting a line to a rising trout along the Platte, scrambling through sage and brush covered slopes in pursuit of the next covey of birds along the Wind River, or drifting along a river of freshly melted snow through the Absarokas, the natural landscapes and wildlife found throughout the state are truly like no place on earth. Experiencing all that the state has to offer would take many lifetimes but, that’s no reason to shy away from embracing the possibilities. In an effort to help others experience more of what Wyoming has to offer, we have teamed up with businesses and outfitters to provide unique outdoor opportunities as part of a raffle for our end of the year fundraiser. All you have to do to is make a financial gift of ANY AMOUNT to WWF between now and the end of the year. In addition to helping fund our work throughout the state, you will automatically be entered to win one of the following packages. Guided Upland or Waterfowl Hunt – The broken prairie, river-bottoms, and small lakes surrounding Lander have exceptional upland and waterfowl opportunities. 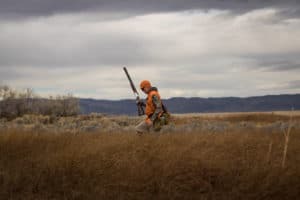 Wind River Wingshooting has provided a hunt for two in the Lander area with your choice of upland or waterfowl. A day spent bird hunting with the Wind Rivers and Absorokas as a backdrop is sure to leave a lasting impression. Guided Fishing on the North Platte – The Upper North Platte is known far and wide as a noteworthy fishery and it’s for good reason. Guide and outfitter, Jeff Streeter is offering a day of fishing for two on the Upper North Platte. The fishing, as well as the conversations, are surely worth the price of admission. Half-day Whitewater Trip – Wyoming River Trips in Cody is offering a half-day whitewater trip for two on the North Fork of the Shoshone with lunch included. The North Fork runs through the heart of the Shoshone National Forest, just outside the boundary of Yellowstone National Park. 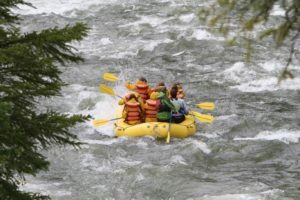 This class II-III+ run provides more than just whitewater fun, it’s also not uncommon to see the likes of moose, grizzly, and bighorn from the boats. A classic river trip, indeed!